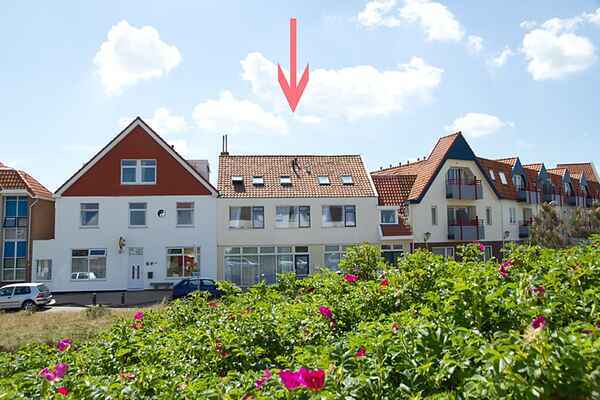 Holiday apartment in unique location in Bergen aan Zee, Noord-Holland province, within 100m of the beach! This accommodation is perfect for several families travelling together and features an infrared sauna and a parking place! Bergen aan Zee offers a wide range of beach pavilions where you can enjoy a nice meal and a drink. The house has all the comforts needed for a relaxing holiday. You can dine at the large dining table with all your companions. Wellness lovers will like the fact that this house comes with its own infrared sauna. Your apartment is only a short walk away from the Zee Aquarium, bicycle rental and bread service. The area also has many activities and sights for both young and old. The pleasant town of Bergen is only 5 kilometres away and hosts a wide range of nice restaurants, cafes and shops. Are you a fan of culture? Traditional Dutch cities like Alkmaar, Amsterdam and Haarlem are easy to get to from your apartment and have plenty of things to see, including medieval churches and a wide range of museums. A visit to the famous cheese market shouldn't be missed either! * Guests can make use of a total of 2 annual permits, which are valid all day, and 1 visitors' permit, which allows 4 hours of parking. The permit has an overview of all applicable parking zones. Bergen aan Zee has paid parking from 1 March until 1 November between 10 a.m. and 7 p.m. Day tickets for any additional cars can be purchased at a parking ticket machine for € 12 per day (subject to change).